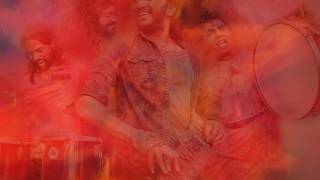 Artistes: Rinku Rajguru, Aakash Thosar, Tanaji Galgunde, Arbaaz Shaikh, Dhanraj Nanavare, Anagha Mule, Chhaya kadam, Bhakti Chavan, Suresh Vishvakarma & others. There was already a lot of curiosity about Nagraj Manjule’s next film after Fandry. 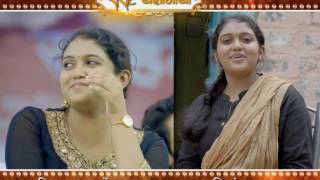 Recently, after young Rinku Rajguru won the National award for her performance in his new film Sairat followed by popularity of Ajay Atul’s music for this film, the expectations from Sairat had gone up. The film is an intense love story set on a village backdrop. Parshya and Archana who are studying in the same college and same class get attracted to each other but Archana comes from a rich background and her father, the owner of a huge farmhouse, opposes their love as Parshva belongs to the lower level of the social strata. Therefor the couple faces a huge challenge. Both of them run away from their village and finally reach Hyderabad. Luckily, they find support from a local woman, who understands their problem. How Parshya and Archana face this tough situation in their life in next few years is what the film is all about. Both Rinku Rajguru and Aakash Thosar have portrayed their respective roles so naturally, that it is very difficult to believe that they are newcomers to this film industry. The performance of Rinku is simply outstanding. There are many strange events in the film and therefore, there are many artistes too. Screenplay has gone more into all details which shows the creativity and complete hold of the director over this film. Ajay Atul’s music is the best part of this film. Therefore, it has turned out to be a satisfactorily entertaining film. After a long time, you get to see such an intense love story. The film also presents very effectively, the rural language, culture and the thinking process of the local people. This is also the biggest plus point of the film. All in all a complete entertainer. 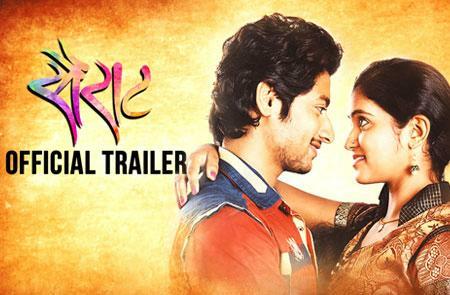 Click here to know more about "Sairat"